On a rainy Tuesday morning we set off on a Polish Airlines flight to Warsaw. Our target: PGConf.EU with some of the biggest crew EnterpriseDB ever sent off. Our goal: spread the love of EDB within the PostgreSQL community, where EDB is such an intrinsic part of. The evening before the conference promises to be an interesting one. We have rented off the Hard rock Cafe in Downtown Warsaw for the kickoff of our European Tour. During this tour we will visit Hard rock Cafes throughout Europe to talk about the future of Postgres. With 80 people present, our space at the Cafe was a full house! With food and drinks it was a perfect place for networking and sharing stories about Postgres. After the drinks, Warsaw city tour-guides took us on a walking sightseeing tour through the city. This inevitably led us to Vodka and Herring, which formed the crown on the day. For me personally it was the perfect opportunity to submerge myself in the Postgres community, feel the energy and meet some of the leading names like Bruce Momjian, Dave Page, Robert Haas, Andreas Scherbaum, (“Blame”) Magnus Hagander and many, many more. Second day in Warsaw, first day of PGConf.EU. The EDB crew slept well and is ready to roll! 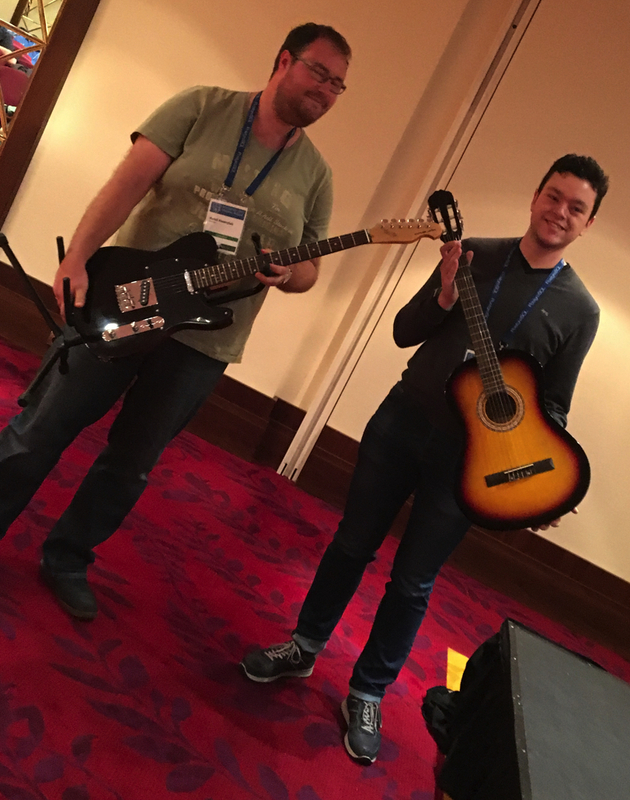 At the EDB stand we are hosting a quiz where participants can contest to actually win an electric guitar and free access to one year of on-line Postgres training. The challenge: by means of speed and correctness answer 11 questions on PostgreSQL! The second day of PGConf.EU continues the flow of excellent talks and fierce competition at our Postgres Rocks Quiz. EDB Postgres Experts are sharing their knowledge abundantly at this conference. Day two also is my presenting debut at a Postgres-conference. Together with friend and partner in crime Daniel Westermann of DBI-services. Our talk was well received and we were able to share some of our experiences of entering the PostgreSQL world, coming from Oracle. EDB concluded the second day of PGConf.EU with a team-dinner in the heart of Warsaw. A unique opportunity to bring all the facets of EnterpriseDB togehter. This ranges from our community foundation to our strategic business vision, all together in one place to exchange ideas and enjoy good company over a very good meal. As with all good things, we inevitably reach the closing day, no difference there for PGConf.EU! More excellent talks on general Postgres development and the influence of various projects on the future of the leading Open Source database project. 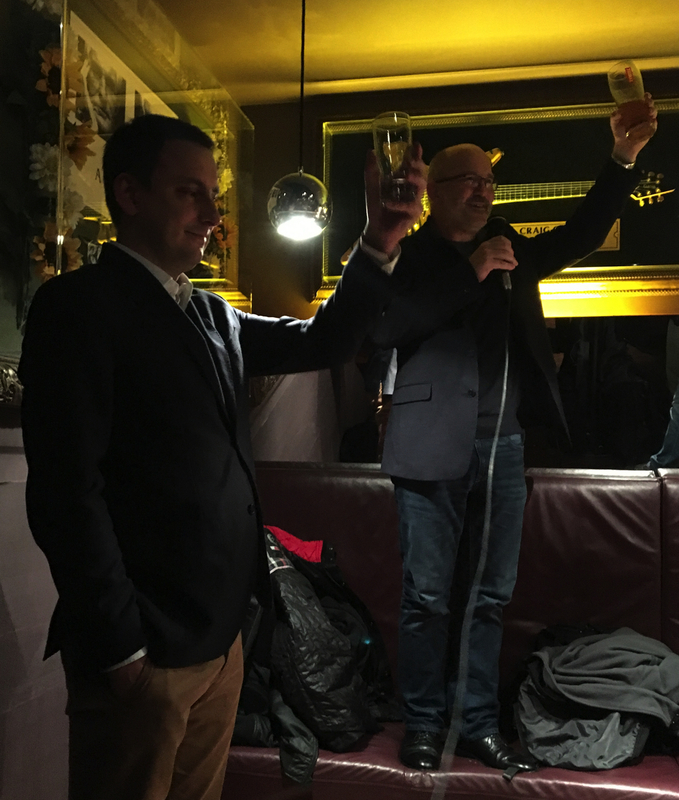 We also had a very exciting final to our EDB Postgres Quiz, with a surprise victory for Rafal Hawrylak of TomTom and an excellent runner up Matthijs v/d Vleuten of Hendrikx ITC. On behalf of the entire EnterpriseDB, I would like to thank the PostgreSQL conference board for an excellent experience in Warsaw! 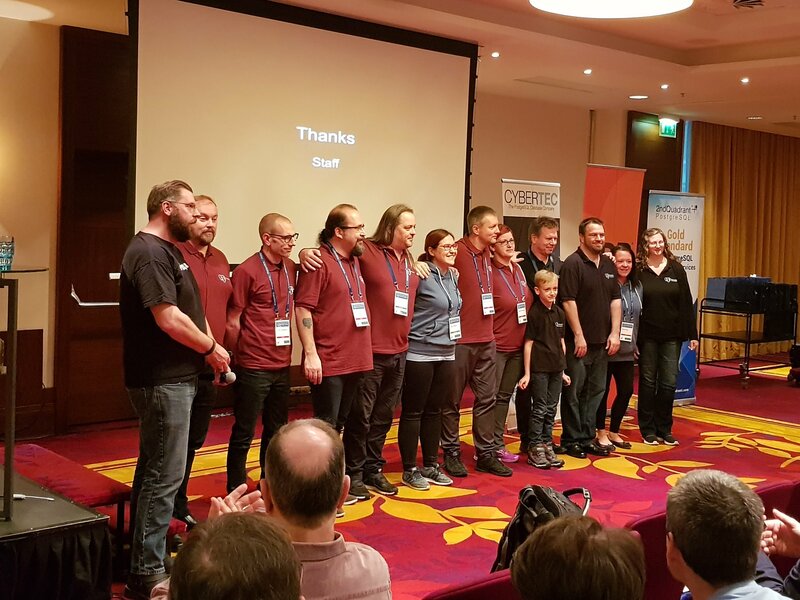 If you like to relive pgconfeu, simply review the comprehensive tweet-timeline.